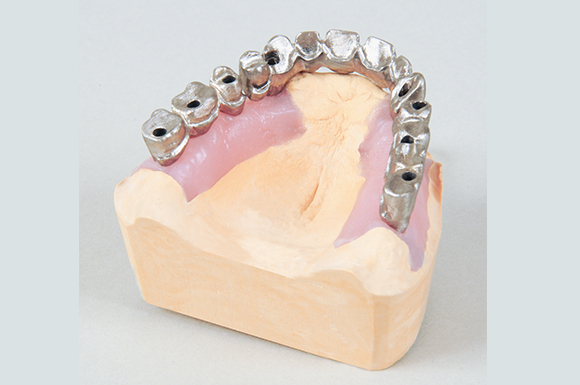 Oral implantology remains one of the most dynamic fields within dentistry. This is due in large part to the development of safe, effective osseointegrable implant systems that offer patients a permanent and aesthetic alternative to partial or full removable prosthetic devices. For a growing number of patients, implants offer an excellent solution for loss of teeth. 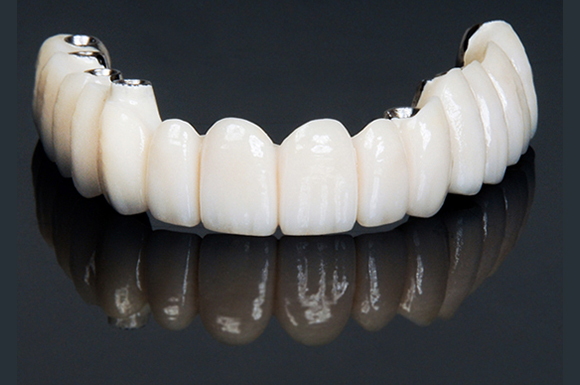 As an established leader in the dental implant restorative industry, we are proud to provide you with the best implant designs available today. Our specialized implants department can assist you in treatment planning and diagnostic evaluation for all alternatives in the industry, from single unit to full rehab, screwed or cemented implants made with PFM and/or zirconia. Our close relationship with implant manufacture companies allow us to remain on the cutting edge of techniques, as does our commitment to evolving technology. We select the most advanced products available on the market.